Two new plug-in hybrid (PHEV) powertrain models for BMW’s flag-ship 7-Series have been revealed claiming a 36-mile all-electric range. 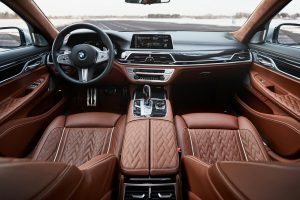 Both the of two model variants, the BMW 745e and the BMW 745Le xDrive with all-wheel-drive, will go on sale in Europe this spring. 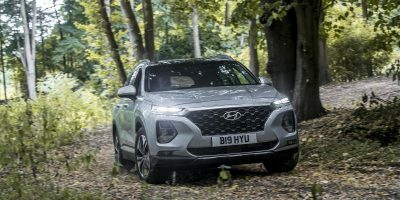 They feature a PHEV system employing a six-cylinder in-line gasoline engine and a high-voltage battery with an enlarged capacity compared to previous models claiming a boost in power output and torque, improved electric range, fuel consumption and CO2 emissions. 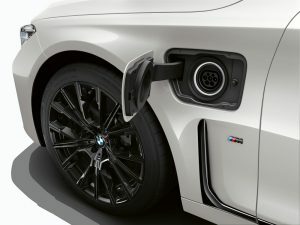 BMW’s 3.0-liter BMW EfficientDynamics engine produces a peak power output of 286hp which combines with an electric motor with a rated output of 113hp and torque of 265Nm. In Sport mode, the two power sources combine to give a total power output of 394hp and maximum torque of 600Nm, giving the 745e a 0 to 62mph sprint time of 5.2 seconds. The new 745Le xDrive, with its intelligent four-wheel-drive, cuts that time down to just 5.1 seconds, with all models electronically limited to a top speed of 155mph. 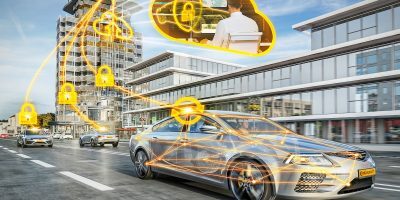 An interesting connectivity feature allows the hybrid system to manage when the electric power can be put to best use including a preview function that works with the car’s GPS to assign electric power most efficiently on a pre-planned route. 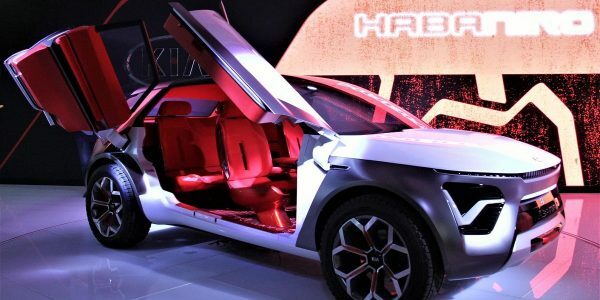 The models’ high-voltage lithium-ion battery has an increased capacity of 12.0kWh. In Hybrid mode, the cars can travel at a speed of up to 68mph in purely electric mode. In Electric mode, the cars can reach a top speed of 87mph. Fuel consumption and emissions have also been improved. For the 745e, combined consumption is between 141-123mpg on the NEDC cycle while CO2 emissions are from 48g/km. The corresponding figures for the new 745Le xDrive 118- 105mpg and from 52g/km. The carmaker has yet to release their Worldwide Harmonized Light Vehicle Testing Protocol (WLTP) which, being ‘real world’ tests are likely to reveal less impressive figures. 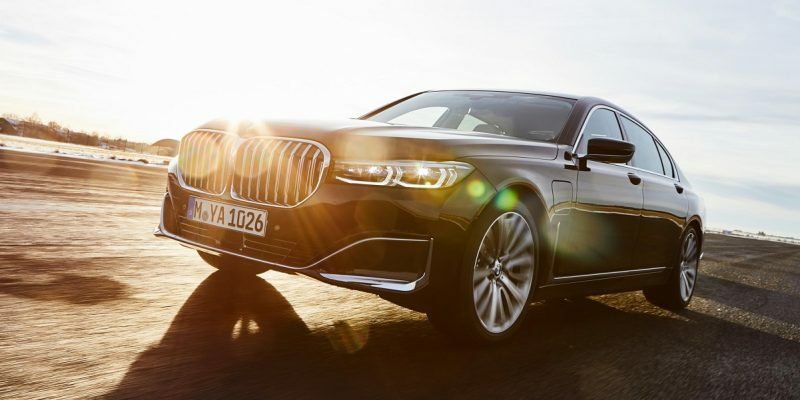 The BMW 7 Series 745e is on sale in European markets with prices starting from £76,815 ($100,809).